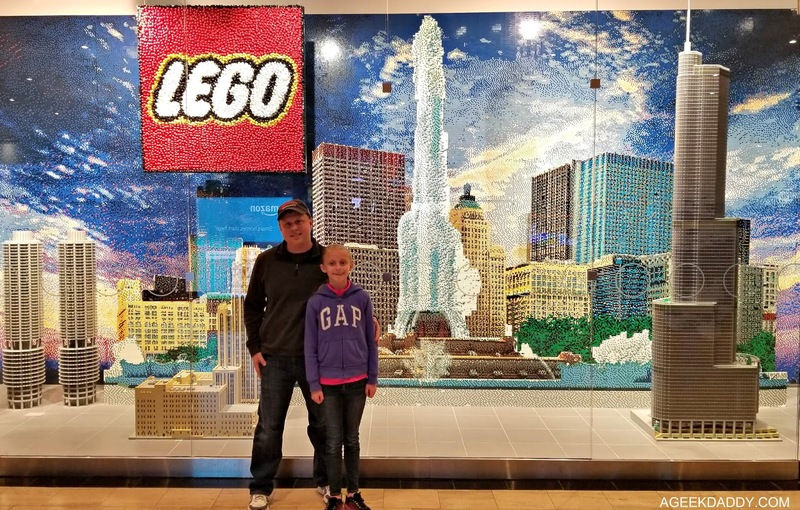 For some spring break fun and parental bonding time, I went on a daddy-daughter road trip to the Windy City. 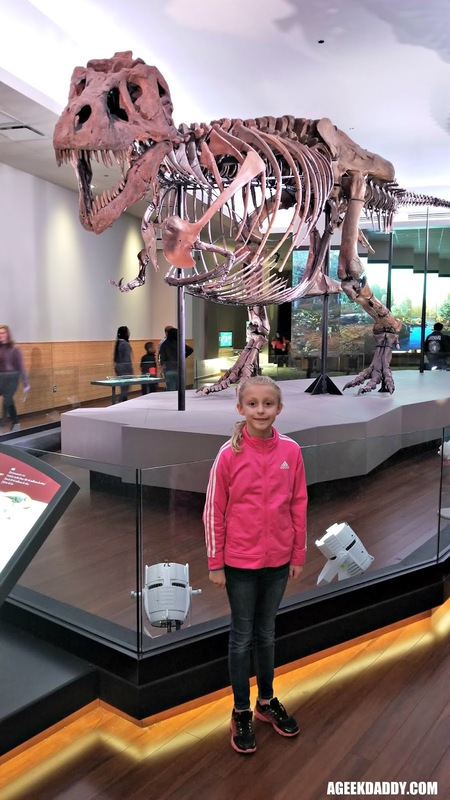 We had a fantastic time exploring Chicago's Magnificent Mile, participating in a sleepover at Shedd Aquarium, and checking out the new Tyrannosaurs Rex exhibit space at the Field Museum. 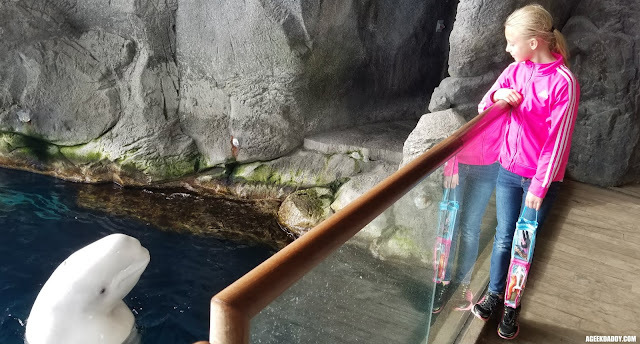 Our daddy-daughter outing was full of entertaining and educational activities, but it also was great family time spent together. 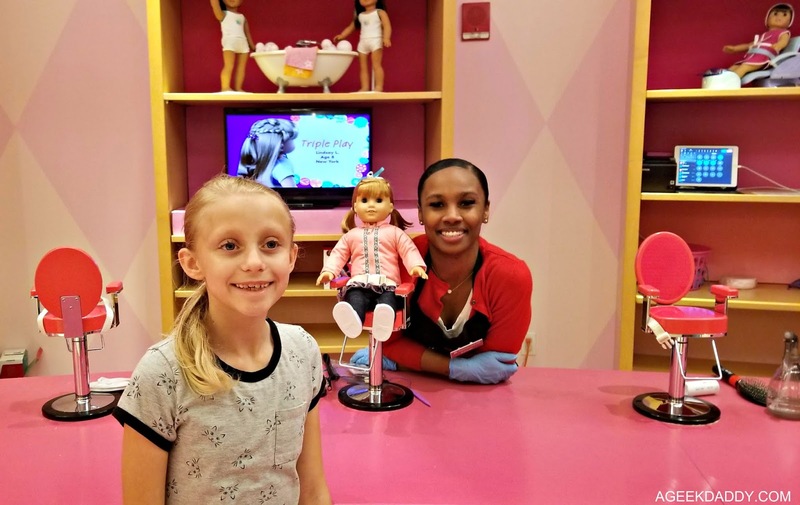 My daughter has been asking for awhile now to visit this toy store and doll salon located in the Water Tower Mall situated along Michigan Avenue within Chicago's Magnificent Mile shopping district. So we made sure to stop by during our daddy daughter road trip to the Windy City. In addition to this store being full of American Girl items it also contains a salon that provides doll makeovers and a full service café. We perused through aisles of doll displays. Both my daughter and I geeked out over the astronaut accessories and outfits available for American Girl dolls. 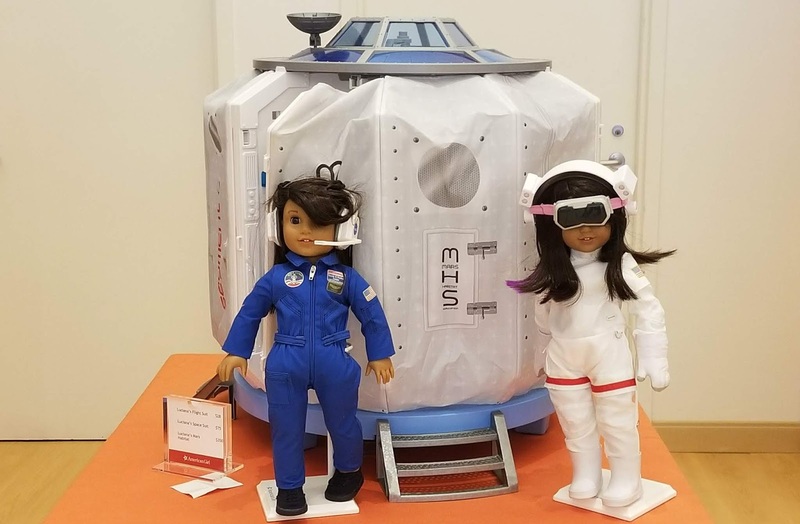 With this gear a doll will be ready for a space adventure to Mars. It is nice to see a STEM focus with these toys! 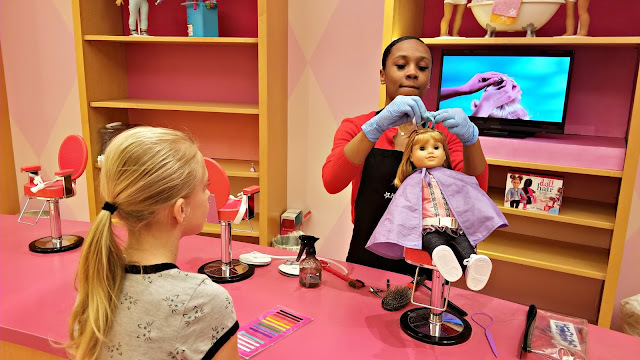 While at American Girl Place, I treated my daughter's favorite doll to a makeover. My mother-in-law had purchased this doll which she brought out whenever babysitting my kids to play with my daughter. My daughter inherited Nellie when her grandmother passed away last year and the doll received a new home moving in with us. With her grandma being the person who primarily watched my kids during their preschool years while my wife and I were at work, there are a lot of happy memories associated with this doll for my daughter. She has a real connection with Nellie and it was nice we were able to incorporate her doll into our daddy-daughter outing to Chicago. At the American Girl Place Chicago salon, Nellie had some braids and ribbons added providing the doll with a brand new hairdo. My daughter also asked for some pig tails to be added too. The hair stylist not only did a nice job with the doll's hair but was also very friendly and conversational with my daughter during the makeover session. The doll also received a soft scrub to clean up and refresh its skin plus had some removable decals added to make it look like she had painted finger nails. You can also have the ears pierced but we declined doing that as to avoid damaging the doll's original appearance. My daughter had a big smile on her face over Nellie's new appearance. She obviously loved the new hairdo! Nellie is a fine looking doll isn't she? 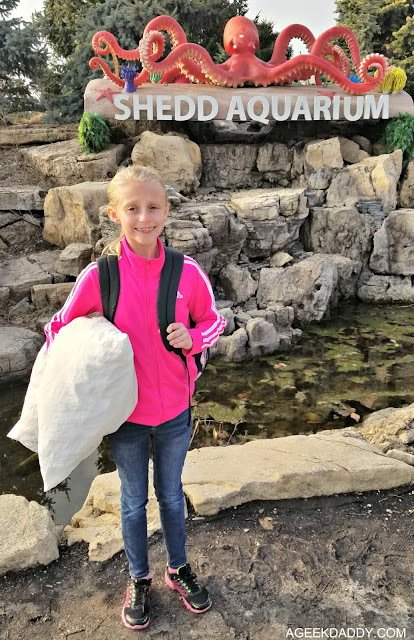 After spending some time exploring the Magnificent Mile visiting American Girl Place along with the Art of Dr. Seuss Gallery, the LEGO and Disney stores, and Garrett Popcorn Shop, we headed down to the Chicago museum campus for a slumber party sleepover at Shedd Aquarium. Asleep with the Fishes lets families spend the night in the aquarium providing an exceptional viewing opportunity of the displays and fun activities. It is a great chance to have a wonderful experience at the aquarium without any crowds. Wow! We had some close up encounters with beluga whales, dolphins, sea lions and starfish. 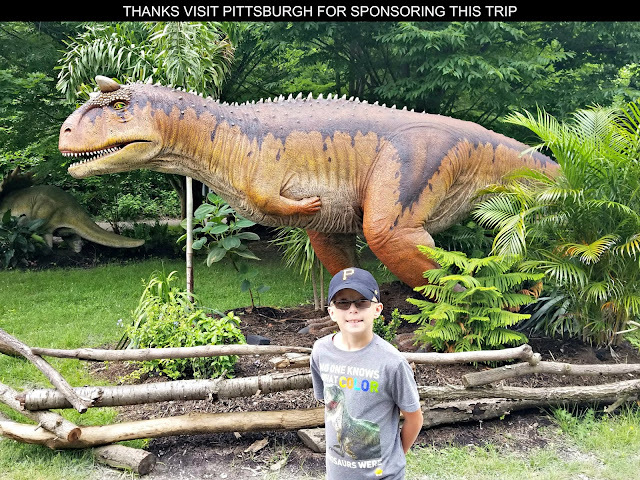 We also watched 4D movies in the aquarium's theater, searched through the various habitat galleries in a scavenger hunt, did some arts and crafts projects, and played around with virtual reality goggles. Plus there was a special late night dolphin show in the oceanarium just for attendees. 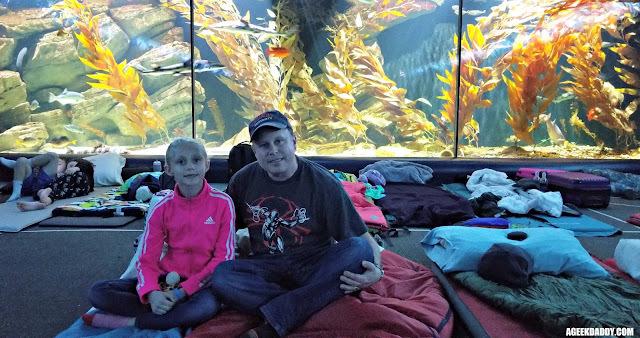 My daughter had a delightful time at Asleep with the Fishes at Chicago's Shedd Aquarium. I have to say it was a rather nice experience falling asleep to the glow of the aquarium tanks watching exotic fish swimming around you. It would have been even nicer if the group sleeping next to us didn't snore. Alas that is the risk of participating in group events like this. 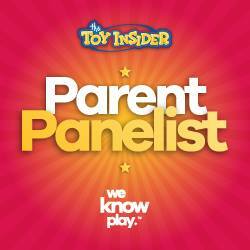 Overall my daughter was thrilled by the experience and it made for a great father-daughter night out. Calling Chicago's Field Museum home, Sue is the nickname of the world's most complete and best preserved Tyrannosaurus Rex fossilized body. It was named after Susan Hendrickson who discovered the fossils on August 12, 1990 at the Cheyenne River Indian Reservation in South Dakota. Sue has been one of the most popular attractions at the Field Museum since she was put on display near the first floor entrance of the building in 2000. Sue was taken off exhibit in 2018 so that she could be provided her own display area near the dinosaur gallery on the museum's second floor. Sue has made a comeback in 2019! 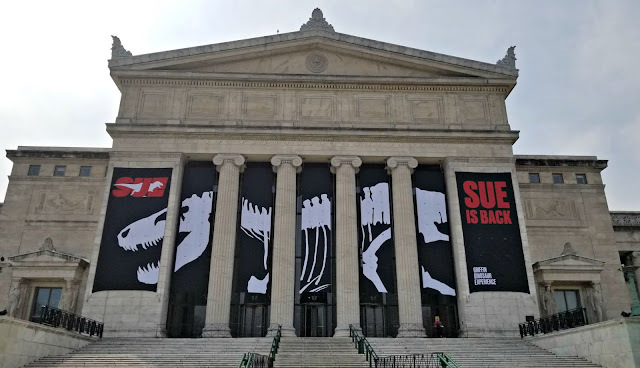 Her new 5,100 square foot display space includes animated high-definition videos of what Sue would have looked like alive on nine-foot tall panels behind the T-Rex's skeleton. The videos show scenes of Sue drinking from a stream, hunting Edmontosaurus and battling a Triceratops. A laser-light enhanced audio/video presentation takes place periodically throughout the day in the gallery. As details about portions of the dinosaur's skeleton are shared with the audience, specific fossil segments become illuminated. Facts are also projected upon the wall behind Sue's skeleton. It is a very impressive presentation which my daughter told me was her favorite thing we saw during our visit to the Field Museum. So after a weekend of dinosaurs, dolphins and dolls it was time to head home. There is so much to see and do in Chicago we only scratched the surface of good times to be had there. Still it was a great trip and we made some wonderful memories during our excursion to Chicago.